Dennerle Duomat Evolution Deluxe and JBL Protemp basis heating cable. Digital double thermostat for automatic sequential control of bed heating and water heating creates a temperature climate like in a natural biotope. The bed heating system provides for a tropical temperature in the bed and generates true-to-nature nutrient seepage springs in the aquarium. This promotes root formation and ensures lush plant growth. The entire bed becomes a highly effective bio-filter - the basis for premium water quality. Fish benefit from tropical water temperatures corresponding to their natural habitat. The Dennerle Duomat Evolution Deluxe offers the ultimate in functionality, reliability and user-friendliness. Using the device is simplicity itself: 1 button = 1 function. At high room temperatures, the aquarium temperature may rise well above the set level. 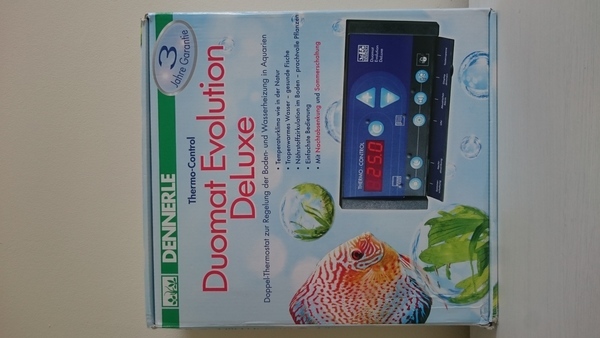 The Duomat Evolution Deluxe intervenes immediately in such cases, actuating the bed heater automatically at 'intelligent' intervals - without raising the aquarium temperature to any noticeable extent. This summer mode* has been specially developed by Dennerle to ensure that the important circulation of nutrients in the bed continues on hot summer days, too. The night-time temperature reduction function automatically lowers the aquarium temperature by a certain temperature difference for a period of 10 hours. The temperature difference and the starting time can be set by the user. In this way, the Duomat Evolution Deluxe simulates the temperature pattern to which tropical fish and plants are accustomed from their natural habitat. 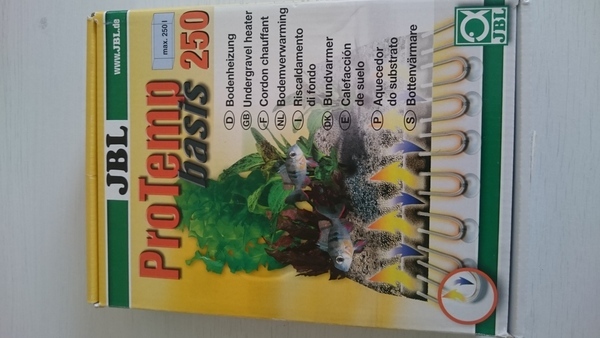 Tests have shown that the night-time temperature reduction promotes fishes' well-being, vitality and spawning instincts while at the same time stimulating plant growth. length of sensor lead: 3mlength. Improves rooting of all water plants. Provides for close-to-nature flow through the bottom, precluding zones of putrefaction and ensuring uniform distribution of nutrients. Including high-quality transformer conforming to German standard specifications, and suction pads for the cable.